Håkan is so expressively drawn that his bouts of loneliness, heartache, and shame vibrate off the page. A Swedish immigrant, the American West, and the powers of fate unite in Hernan Diaz’s stunning novel, In the Distance. In the first half of the nineteenth century, fifteen-year-old Håkan Söderström is bound for New York with his protective older brother, Linus. When the two become separated, Håkan is directed to the wrong ship, and lands on the west coast rather than on the east. Without money, education, or knowledge of English, he sets out on foot to cross the continent and find his brother. Headed east, he encounters the human tide headed west, and his decades-long quest makes for a book overflowing with adventure. From a naïve youngster, Håkan grows into a literal giant, his height matching his mythic reputation as “the Hawk.” The writing style is free of sentimental conclusions and emotional directives, yet Håkan is a perpetually engaging and sympathetic character, so expressively drawn that bouts of loneliness, heartache, and shame vibrate off the page. The characters encountered along the way—an obsessed Irish gold miner, a naturalist searching for humankind’s missing link, thieves who masquerade as Native Americans even as they slaughter them, a girl who flutters Håkan’s heart—are memorable, even though each occupies limited space. 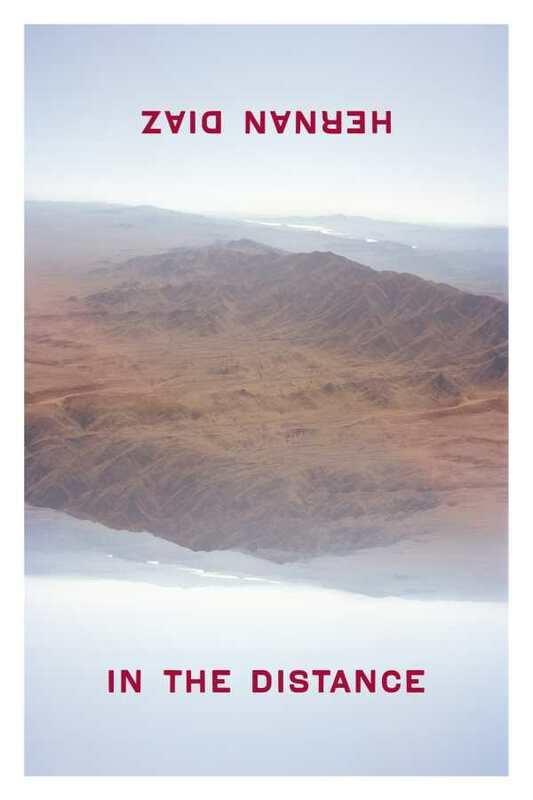 The American wilderness is Håkan’s only constant companion, and descriptions of salt flats, canyons, and prairies shimmer with an almost hallucinatory power. In the desert, Håkan finds an elaborately carved dresser whose mirror offers a glimpse of the face he no longer recognizes. Along a wagon trail, the bones of an entire family are found bleaching in the sun in an uncovered wagon. In canyon cliffs, dinosaur graves yield “dragons’ teeth” whose mysterious origins give them value beyond measure. Fine writing, diverse and well-imagined exploits, and Håkan himself keep the pace flowing, and mounting tension over just how it will all end makes for long reading sessions. As gritty, unromanticized tales of the American West go, In the Distance by Hernan Diaz ranks with classics like Thomas Berger’s Little Big Man and Larry McMurtry’s Lonesome Dove.